Forty years, 10,000 days, 80,000 hours. Measure it any way you like, but this is about the length of a typical career. With so much life spent working, why not spend some time planning your career in an organized, strategic manner? Are you a bit fuzzy on your career goals? Is your work-life balance not under control? Have you achieved some career success and are considering change – but to what? Does networking feel uncomfortable to you – even though you know it is critical to your professional success? This book is designed for those who are looking to excel in their careers and want balance too. It reviews a number of career planning models, including Price/Expertise/Trust model, Give to Get, Networking, etc. This book works within your organizational HR framework to improve employee engagement and personal responsibility. 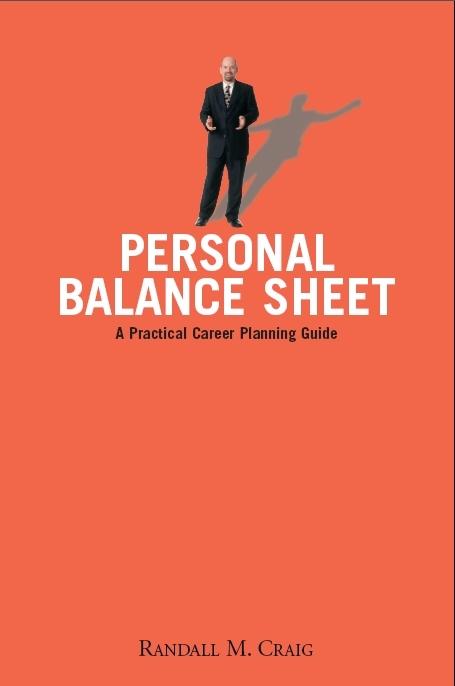 Personal Balance Sheet – A Practical Career Planning Guide has won the 2008 Indie Book Awards Gold Medal as best Career Book, the 2008 Finalist in the National Best Book Awards “Business-General” category and the 2008 Finalist in the Foreword Magazine Book of the Year contest, in three categories, including Business & Economics.